Inexpensive doesn't necessarily mean cheap. The term "affordable" is also relative. When were talking about affordable condominiums were talking about anyone that can purchase a condominium and have a monthly housing expense of 30% or less of their income. If any of your housing expenses including homeowners association fees, taxes, insurance and the principal mortgage payment are more than 30% of your income, it's out of the "affordable" housing definition. But inexpensive can also be something different than cheap and affordable. Many investors look for inexpensive condo units in some of the best buildings so they can fix them up, rent them out or flip them and sell them. First-time homebuyers may also be looking for these "inexpensive" condominiums so that they can start small, work on some cosmetic fixes and be able to sell for profit in a few years and move up to a larger property. Inexpensive condominiums around Seattle typically start around $100,000 although there are some in the North Seattle and South Seattle area that may be a little bit less. Most of the time, property started about $98,000 for smaller condominiums or those that might need some work. 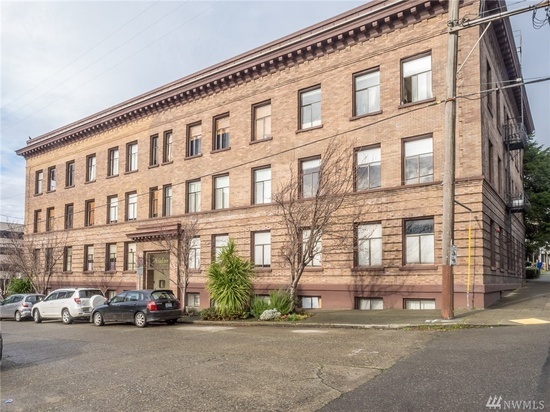 In the downtown Seattle area from Pioneer Square to Queen Anne Hill you're not likely to find condominiums less than about hundred and $30,000. But again, inexpensive is all relative. For someone making $1 million a year, a $500,000 condominium might be inexpensive to them although this is pretty rare. Most people looking for affordable, inexpensive or even a cheap condominium are looking for a bargain, a deal, something they can get for lower than the market value. Some of these homes may just need a few cosmetic upgrades to really boost the equity. Others, depend on the condominium building, neighborhood or location. There are several locations around Seattle and North Seattle that might be more desirable than others and therefore condominium buildings in general might have lower priced homes. One of the key things if you're an investor is to look for the lowest price condominium in the nicest building. By some simple renovations or cosmetic TLC, investors are likely to make a profit fairly quickly. It's best to use a real estate agent that understands the market, the buildings in the area and the neighborhoods. Because I specialize in Seattle and specifically North Seattle, I can help you find the right inexpensive condo to meet your needs. Start below with the most up-to-date, inexpensive neighborhood surrounding the Puget Sound area and when you're ready, give me a call to schedule a showing.